With hundreds of styles to choose from, you can find the perfect shade for every room in your home! Window blinds can add color, texture and custom design throughout your home. Choose from a variety of styles and features to meet your unique needs. Check out all of our brand new products and colors! Continuous Cord Loop (28) ? Continuous cord loop raises large and hard-to-reach shades easily with one cord loop; cord remains same length no matter where shade is positioned. Cordless Top Down Bottom Up (9) ? Top down / bottom up allows shades to lower from the top and raise from the bottom to achieve both natural light and privacy. Choose between single cell and double cell constructions. Single cell construction will weigh less, so for large windows, this may be your best choice. The double cell construction will provide better insulation. Our best selling product is the 3/8" double cell. 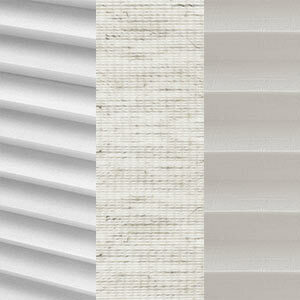 Shades are available in 3/8” to 2” pleats for a variety of different styles. Generally, we recommend the larger the window, the larger the pleat size for the best look. Good Housekeeping has an emphasis on Style and Child Safety. Classic Pleated Fold (5) ? Choose from 7 elegant fold styles to get the designer look you’re looking for. If you’re looking for blackout shades, SelectBlinds.com has you—and your windows!—covered. We don’t just offer one style of blackout shade. We believe that you should still have style options, and that’s why we provide several different types of blackout shades in a variety of colors, patterns, and designs. Other retailers make you sacrifice style for blackout capabilities, but not at Select Blinds. Blackout shades and blinds are perfect for bedrooms, helping you get your best night’s sleep every night. We even have blackout shades specifically designed for children, including fun designs and patterns, and they come standard with the cordless option. If you want more window covering and light blockage, go with outside mount blackout shades. Want a movie theater-like experience in your own home? Use blackout shades for media rooms. You’ll have the best viewing experience because you won’t have to worry about a glare on the TV screen. Blackout shades are also perfect if you’re working on your computer and you want to limit all distractions around you. Some of the above shades are specifically designed to be blackout shades. However, some select products need a blackout liner, which can be added to your order during checkout. Without this liner, these products can’t be classified as blackout shades. Honeycomb Black-out Shades. These shades are also known as cellular shades. They offer a multi-layered, cell design that provides additional insulation and noise reduction. They keep your energy costs down. Roller Blackout Shades. 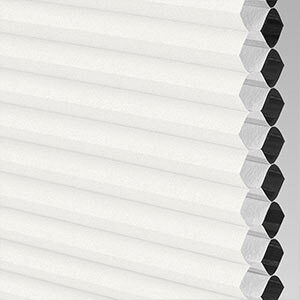 Roller shades are great if you have children, as they’re easy to operate, and all of our roller shades are 100% cordless. Why not pick a fun pattern to get your kids excited about going to bed with blackout shades? Bamboo Shades. For a more contemporary, sophisticated look, opt for bamboo shades with a blackout liner. You’ll get great texture and a unique look for your home. See, having both style and functionality is possible. These bamboo shades fold up just like roman shades, so you can have elegance, too. Pleated Black-out Shades. With over 20 colors to choose from for pleated blackout shades, you’ll get the look of cellular shades at an even more affordable price. 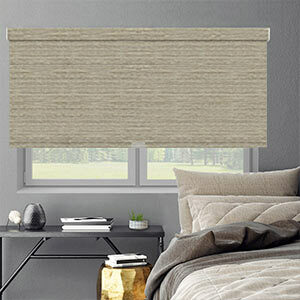 Pleated blackout shades add great texture, much like bamboo shades. Roman Blackout Lined Shades. Blackout roman shades add the look of drapes but with the utility of traditional blinds or shades. You can choose between two fold options, including the classic pleated fold and the soft fold. Customize your blackout shades to match your style vision. If you’re looking for the best blackout shades, you’ve come to the right place. Choose any style of shades and create the blackout shades that work best for your lifestyle and sleep schedule.